High-profile Aycliffe-based businessman John Elliott says a no deal Brexit is the “best deal” for Britain. 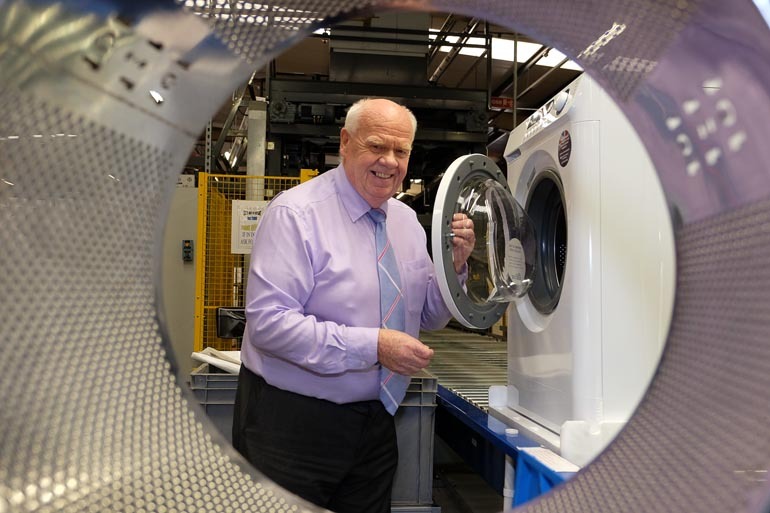 His firm Ebac, founded by engineer Elliott more than 40 years ago, has been manufacturing dehumidifiers for decades and is the only British company to produce washing machines from its premises on Aycliffe Business Park. Elliott hopes Britain will deliver on its referendum of 2016 and exit the European Union with no deal. And he reckons a second vote would only deliver an even bigger mandate to Leave. Elliott told Aycliffe Today: “A no deal Brexit is the best deal – not the second best, it’s the best. A lot of people don’t see this. “They’re saying we’ll lose jobs, but we’ve already lost jobs to the European Union. We import more from Europe than we sell to it, so the single market hasn’t worked for us. Why keep doing something that hasn’t worked? “When we leave the EU we can put tariffs on goods to companies who have a trade deficit with us, and why shouldn’t we? Tell them ‘we’ll only buy your goods if you buy ours’. 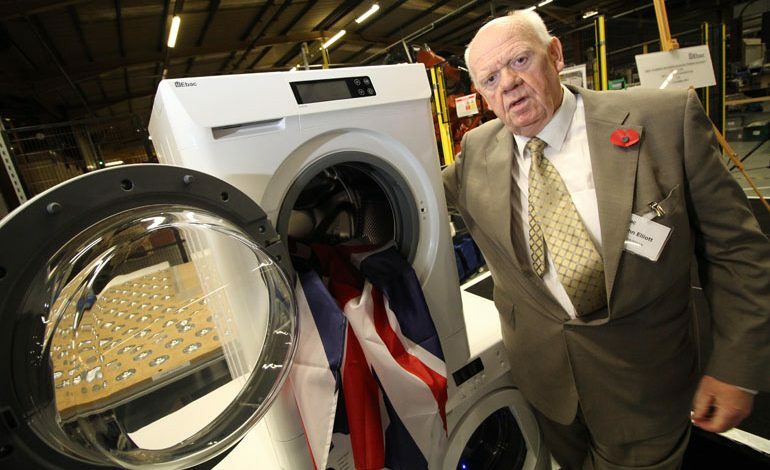 “We’ve got to make more of our own things in the UK. We’re trying to do trade deals and we’ve got nowt to sell. On Tuesday MPs voted heavily against Theresa May’s Brexit deal, although the government narrowly survived a no confidence deal on Wednesday. And as the public become increasingly frustrated with Westminster, Elliott says he has also become disillusioned with politicians of all parties, and insists Britain needs to drastically change its industrial strategy. “We need a big change in the way this country is run. The status quo is not acceptable,” he said. “Party politics is the problem, across the political spectrum. It seems to be about who you know, not what you know. And the competency of our MPs at the moment is very debatable. “That’s why we’re in this mess. And the sad thing is this country could be so much better, to the man in the street. “Is business here for people, or are people here for business? 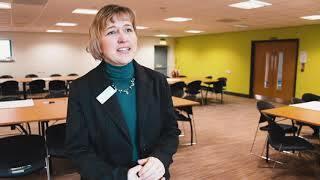 Businesses are here for people! And that’s something some people seem to be forgetting. A business has to serve people, otherwise what’s the point in it? “We need a strategy from Westminster that makes sense. Our industrial strategy at the moment is pie in the sky – ‘let’s create more skills creating high value goods which we can export’. When you say to them ‘which skills to who, what are we going to make and who’s going to buy it?’, they don’t know the answers. “What we need to make are the basic things you and I consume. We import 100 million shirts a year – why can’t we make more of our own? Despite Ebac exporting a large percentage of its goods, executive chairman Elliott was a high-profile supporter of the Leave campaign. He added: “A few years ago, people like me were labelled extreme right-wingers, racists, little Englanders etc., but in two-and-a-half years we’ve become mainstream. It’s the Remainers who have become the extreme. “If we had another referendum, I think it would be an even bigger vote to Leave. It would only confirm it for us. “I already know three businesspeople who voted Remain and say they would now vote to Leave. In 2017 Ebac saw its sales grow to £17.5 from £15.3m, with profits marginally up to £362,000 from £327,500 the previous year.